SEIU Healthcare President, Sharleen Stewart, was the keynote speaker at the 2019 International Women’s Day Celebration Brunch on Sunday, March 3, 2019. SEIU Healthcare sisters joined members of various unions in the Canadian Labour Congress at the event hosted by the Peel Regional Labour Council in Brampton, Ont. 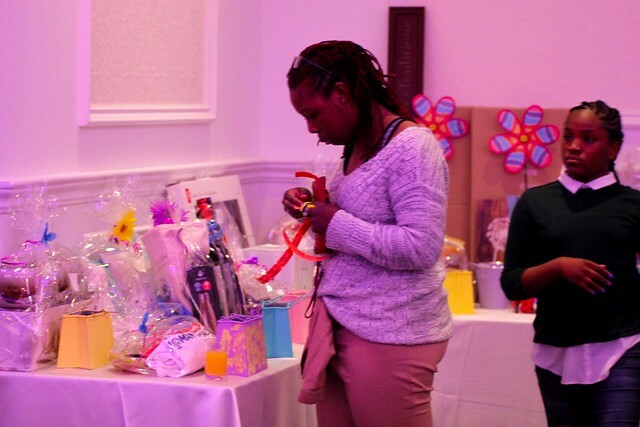 Through raffles and auctions, union sisters and brothers raised proceeds for the Armagh House, Safe Centre of Peel, and the Wellspring Cancer Support Centre. “International Women’s Day is a perfect time to reflect on the history of the Women’s Movement. But as activists, it’s also vital to look ahead to where we still need to go.